This psychological thriller—a debut novel by an Irish TV and radio writer—is not a whodunit but a why’d-he-do-it. In a seemingly random burst of violence, Oliver Ryan—a children’s author with an enviable career and a stable home life—assaults his wife, Alice, during dinner, nearly fatally. 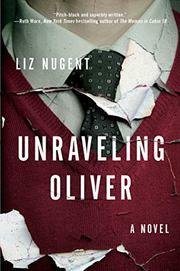 Oliver calmly relates his crime in the opening chapter, and then his back story is related by various people in his life, including his half-estranged brother, Philip; Barney, the childhood friend who secretly loves Alice; Michael, the brother of Oliver’s now-dead girlfriend, Laura; Moya, the actress neighbor with whom Oliver had an affair; Eugene, Alice’s mentally disabled brother; and Véronique, who employed Oliver during a fateful summer when he moved from Ireland to France. The story keeps returning to Oliver’s relationship with his father, who banished his son from his life because of his illegitimate birth; and to that French trip, which scarred Oliver for reasons that aren’t immediately apparent. While Oliver’s story becomes more tragic with each flashback, the reasons for the violent outburst don’t become clear until the very end. Despite all the different narrators, the voice doesn't change much except in Eugene's chapter, and because Alice doesn't speak, her relationship with Oliver feels underdeveloped. Though some of the scenes feel at first like digressions, the pieces all wind up fitting together. Unfortunately, the story’s big revelation hinges on two characters meeting in a not-quite-plausible way and a piece of information that one of them just happens to blurt out. The book works as a page-turner, but it's surprising that a screenwriter couldn't populate her book with a few more vivid characters.